Buckyballs. Quantum dots. Golden triangles. Organic light-emitting diodes. Welcome to the world of nanotechnology - the engineering of new materials and new products, the use of new manufacturing techniques, all exploiting properties possessed at the infinitesimally small, or nano, scale. Virtually every large corporation now has a nanotechnology R & D operation. The US government is putting in serious investment. Huge promises are held out in the fields of medicine, energy, computing. And, more ominously, the Pentagon is exploring nano applications in a new generation of hi-tech weaponry. 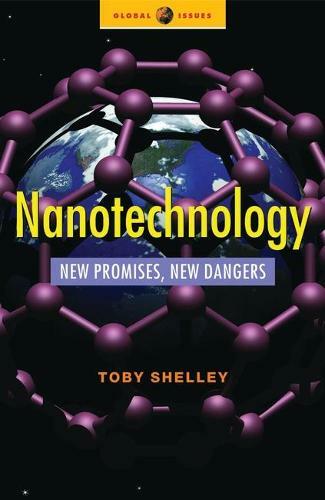 But as this book makes clear: * There is little public debate, even among consumer groups or trade unions, about the ways in which nanotechnologies are creeping into our lives as consumers and workers. * Regulatory agencies take no account of scale when assessing the safety of new products and there is no regulatory framework for nanotechnology even in industrialized countries. * Little research is going on into the health and environmental consequences, and safety, of nano-materials. This book explains the fast moving world of the new technology and who controls it. It explores the potential consequences - the upsides as well as the downsides - for individuals, the environment, and relations between the powers. Nanotechnology could bridge or widen the gap between developing and industrialised countries - that is a political decision that civil society must address.